After our three-day stay in Pagudpud, we went back to Laoag City (we boarded an ordinary bus from Burgos) and spent the night there. Laoag is the northernmost city in the Philippines and the gateway to the entire Ilocos region. "Laoag" (Ilocano word which means "the place of light or clarity"), is an old, flourishing settlement known to Chinese and Japanese traders when the Spanish conquistador Juan de Salcedo arrived at the northern banks of Padsan River in 1572. Augustinian missionaries established the Roman Catholic Church in the area in 1580 and designated Saint William, the Hermit as its patron saint, thus, the reason for creating the Saint William Cathedral. The same tricycle can bring you around Laoag, Paoay, and Batac. Standard tricycle tour costs Php 800. The tricycle driver that we hired was Jonas Penaranda (+639063956176), who happens to own the most photographed Bumblebee-inspired tricycle in the city. If you are planning to rent a van on the other hand, I highly recommend Kuya Lenzer, a van/tricycle owner and tour guide based in Pagudpud (+639068185735). 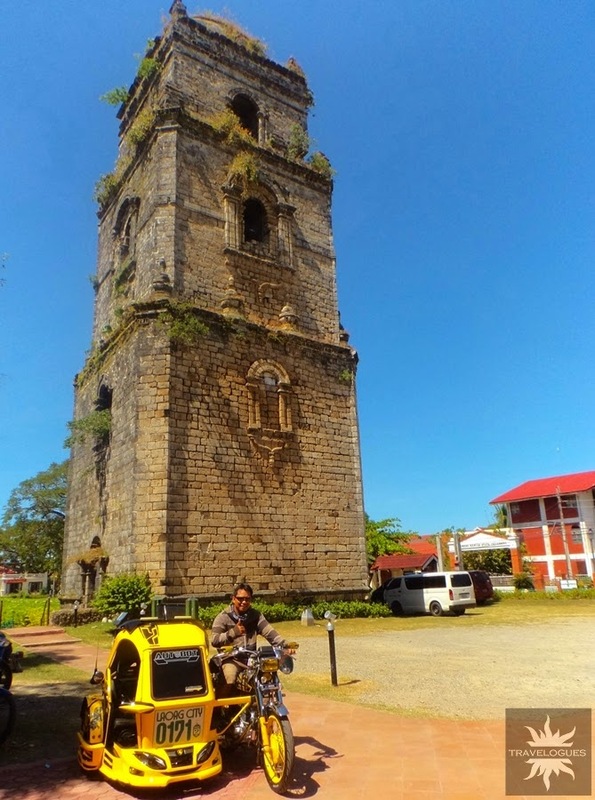 Take note though, that if you are planning to explore Laoag alone, you may do it without having to rent a car or a tricycle as the historic spots are easy to find and are close to each other. You can actually do a walking tour of these sites from the capitol. You can also take a bus from Manila to Laoag. Partas and Farinas have regular trips to and from Laoag. If it's your first time in Laoag (or in Ilocos), it is nice to pay a visit to the city's museum for you to have a backgrounder about the province. At the museum, you will learn a lot about Ilocano culture and heritage. Entrance fee is Php 30. One of the tallest bell towers in the Philippines, the Sinking Bell Tower stands 45 meters high and is said to be "sinking"an inch deeper into the ground every year because it was built on sandy ground. It was the first landmark we saw when we arrived on our first day in Laoag from the airport as it is near the fast food chains and supermarket in the capitol. On our way, we also saw the unique SM Hypermarket building, which also radiates the same Spanish colonial architecture houses and buildings in Ilocos are known for. The provincial capitol is located right across a park near the Tobacco Monopoly Monument. Its imposing stark white neo-classical structure is hard to miss, even you're just doing a walking tour. From the sinking bell tower, it is only about 5-10 minute walk. Right in front of the provincial capitol is Aurora Park which houses the Tobacco Monopoly Monument, the iconic fountain dubbed as Pamulinawen (Pamulinawen is the name of the lady on top of the fountain), and an oblation-like monument. There's also a stall here that allows you to pre-order Laoag longganisa. Also known as the Church of Laoag or Laoag Cathedral, the Italian Renaissance-style Saint William Cathedral was built in 1612 by the Augustinians and now serves as the central church of the Roman Catholic Diocese of Laoag. It features a two-storey facade with columns and an arched entrance. The top of the façade holds a recessed niche that showcases the image of Saint Willian, the city's patron saint. The church was originally built using lime and molasses for strength, with big stones, gravel, and sand. Wood was used to support the roof, which originally was made of cog on grass and was later replaced with nipa. Much later the roofing was again changed to taleb, a corrugated galvanised iron sheet made with whole bamboo. It is said that the church was damaged several times: by hurricane in 1640, by earthquake in 1706, and by fire in 1843. It was restored in 1880.